Until three years ago, Tatiana Goff had no thought of being a gymnast. Now, she is representing Team Washington in that sport at the Special Olympics USA games, hosted across Seattle the first week of July. Goff — who goes by Tate — used to compete as a horseback rider. In 10th grade, Goff came across a YouTube video of a gymnast doing the floor exercise. Goff’s mother, Kelly Morgan, said she didn’t waste any time. Seattle Pacific is hosting gymnastics events July 3, 4, and 5 in Royal Brougham Pavilion. The Special Olympics is a 50-year-old organization that provides sports training and athletic competition in Olympic-type sports for children and adults with intellectual disabilities, according to the organization’s website. The 2018 USA Games is the fourth such event the organization has hosted. Goff will perform in all four events in Tuesday’s all-around competition: vault, balance beam, uneven parallel bars, and the floor exercise. 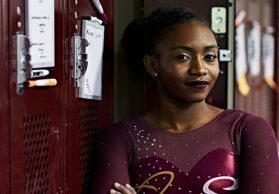 She especially hopes to make it to the final competition in the floor exercise category, since that was the first event she saw on YouTube. “Floor is my favorite. 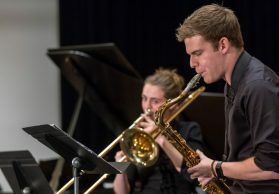 Everyone has a good time on floor,” said Goff, who will perform to “How Far I’ll Go” from Moana, the 2016 Disney movie. Goff, who was born in Russia and has been diagnosed with a fetal alcohol spectrum disorder and autism, was adopted when she was 1 year old by Morgan and her husband, Dale Goff. At age 2, she and her family moved to Japan for two years, then spent five-and-a-half years in Singapore. 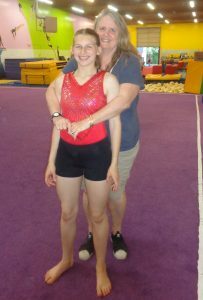 While she was able to participate on the gymnastics team at Bainbridge High School, where she attends, there was no Special Olympics gymnastics program on the island. Tate took the initiative to seek out those who could help form one. The Parks Department already offered gymnastics, but it wasn’t Special Olympics-oriented. Peterson added that many athletes who are on Special Olympics teams need emotional coaching as well as physical coaching. “When it comes to Special Olympics, our goal is to develop strong and capable and confident athletes,” he said. 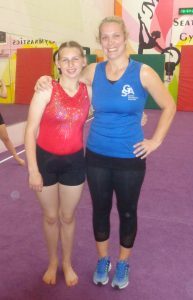 Last December, Goff qualified for the USA Games by winning her division’s all-around competition at the Washington state meet. 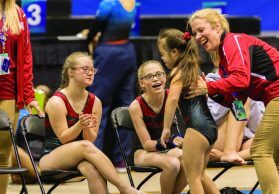 Later in the winter, she and her mother started taking the ferry to Seattle weekly to work out with Elaine Walker, a coach at Seattle Gymnastics Academy and the designated gymnastics coach for Team Washington’s USA Games delegation. “She has really refined her presentation, making sure she has everything in (her routine) that she needs,” Walker said. Walker was particularly impressed when Goff was able to re-work her vault performance. When the Special Olympics conclude, Goff — who made the National Honor Society at Bainbridge High — will prepare to move to Idaho, where she will join a transition program offered by Boise State University and Boise High School. 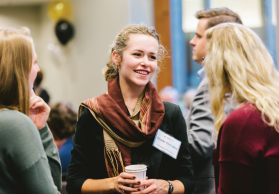 The program offers students with disabilities a chance to experience college life, learn life skills, and receive job training. But for the next few days, it’ll be all about gymnastics inside Brougham Pavilion.